Facebook rolled out an entirely new iPhone app this morning, called Paper. It’s hard to describe exactly what Paper is, mostly because it’s a combination of so many things. 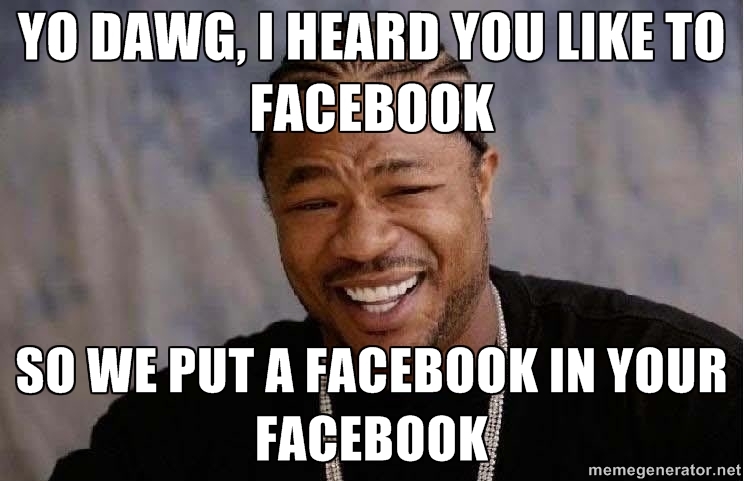 At it’s core, however, it’s a fundamentally new way to interact with Facebook. Right now, Facebook’s mobile apps are just specialized versions of their web interface – your feed looks pretty similar, whether it’s on your desktop, your iPhone, or your Android device. The same cannot be said for Paper, but we mean that in the best sense possible. Paper goes after gesture-based browsing in a big way. Instead of having a traditional, vertically scrolling feed, you have a series of windows along the bottom of your phone, and one large window at the top. This window changes every few seconds, usually to showcase a picture-based post from one of your friends or other people you follow. Smaller windows at the bottom are scrolled through horizontally. Each window is separate status update. Swipe up on one, and it grows to fill the screen, where you can like or comment as you normally would. Since this is Paper and not the regular Facebook app, however, it’s all just a bit fancier – when you tap on a thumb to like something, there’s some extra animation involved. If the post has a nice, high-res picture, Paper lets you tilt your phone to view from side to side. In theory, this sounds pretty cool. In practice, however, it’s actually twitchy and annoying, and I wish Facebook would let you just swipe around to view. Fortunately, you can tap to fit the picture to your screen. To return to your main screen, you can swipe down on the picture or post. If there’s a link, it appears as a small square on your screen that you should be able to swipe up to visit – it unfolds like a piece of paper with a slick bit of rendering. This seemed a little glitchy to me and didn’t always work right; tapping or pinching (as if you were zooming in on something) always worked. As you can probably guess, you can just swipe down to get back to feeds. If this sounds confusing, it is – it’s completely different from how you might traditionally approach Facebook, with a bigger-than-ever emphasis on reading and viewing others’ content without ever leaving the app. Fortunately, Facebook seems to realize this, and there are helpful hints (both visual and auditory) to direct you around Paper, disappearing the first time you access some new gesture or feature. Add in regular Facebook features like sharing content – though now you can preview what your post will look like, which is nice – checking notifications, and friending people, and you’ve got a handy, and much prettier, Facebook app replacement. Paper’s goals shoot much further, however, with the addition of curated content sections. Click on the settings button, and you can add new content to your app – your Facebook wall is one such content feed, with others like News, Tech, Food, Photography. They all have clever sounding names, like Headlines, Creators, and so forth. Between the gestures and the design, it’s clear that Facebook has borrowed heavily from apps like Flipboard. That’s not a criticism, mind you, because the effect is a much nicer experience than Flipboard has ever been. It’s not entirely clear how Facebook is putting these feeds together (and if anyone at Facebook reads this, we’d love to be included in them), but they’ve succeeded in putting together a nice selection. A logical next step would be to allow third parties to post, curate, and share their own subscribable content libraries – but don’t hold your breath. Honestly, while I’d been spending less time in Facebook in favorite of better content discovery networks such as Twitter or Reddit, Paper is more than good enough to bring me back into the fold. I suspect that’s going to be true for a lot of people, too, which is what makes Facebook’s attitude towards the new app so strange. At today’s release, Facebook was insistent that they have no plans to introduce Paper outside of the United States, on iPad, or Android, or any other device. It’s iPhone only. It’s also, for the moment, ad-free. That might all change if Paper becomes as popular as it could be. While the first iteration has a few bugs here and there, it’s by and large an extremely compelling experience – and that’s something we’ve never been able to say about Facebook before. I suspect it’s because the normal Facebook team didn’t make Paper, another group inside of Facebook did – and this team has some serious design cred behind it, with developers and designers working at such other storied Silicon Valley companies as Apple. Despite that sort of pedigree, it’s still not perfect – you can’t really customize the feeds you get, and there’s no integration with Facebook’s own subsidiary Instagram (this would be a perfect service to add). We also feel a little bad for Fifty Three, makers of the mind-boggingly phenomenal Paper drawing app for the iPad. Reportedly, they asked Facebook to change the name of the app, but Facebook refused. If you have an iPhone, by all means, download the app; it’s really nice. You can snag it here, in the App Store. If you have an iPad, or Android device, petition Facebook to make a version for you, because it’s Facebook, but better.